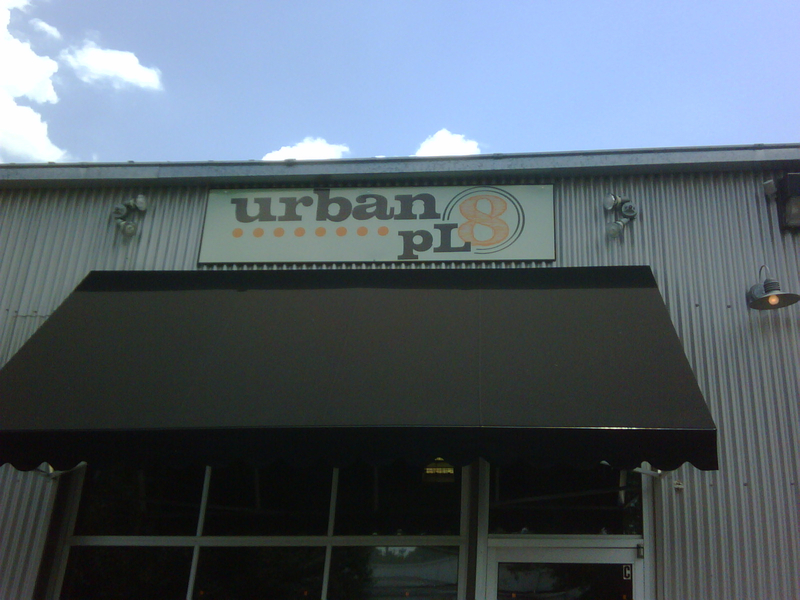 We tried this new (at the time, it had been open less than a year) restaurant after a review in the AJC, Urban Pl8. Great local in-town restaurant on Huff Rd, in West Midtown, focusing on quality + affordability. 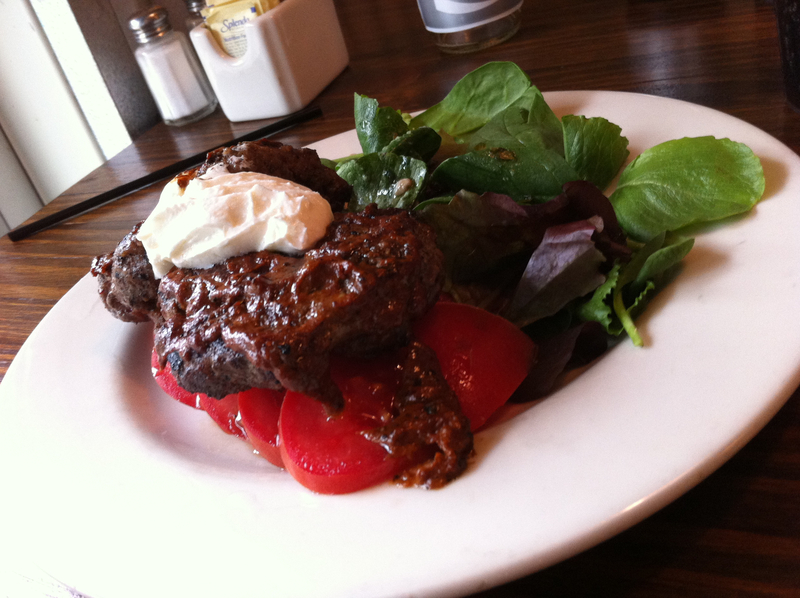 They also focus on fresh, seasonal food. 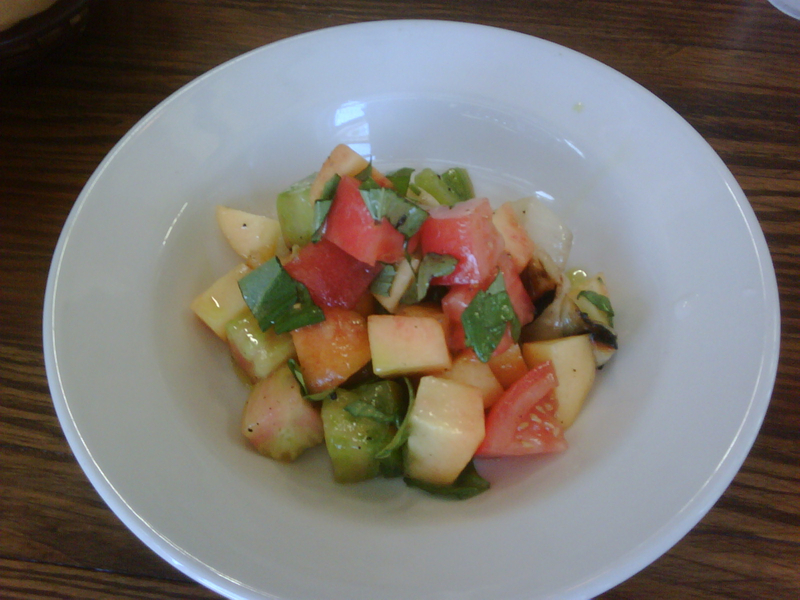 On our first night, they were featuring a salad of fresh peaches heirloom tomatoes, with balsamic vinegar. We tried making this salad at home several times that summer, and came close but never created one quite as “fresh” tasting as this one was. 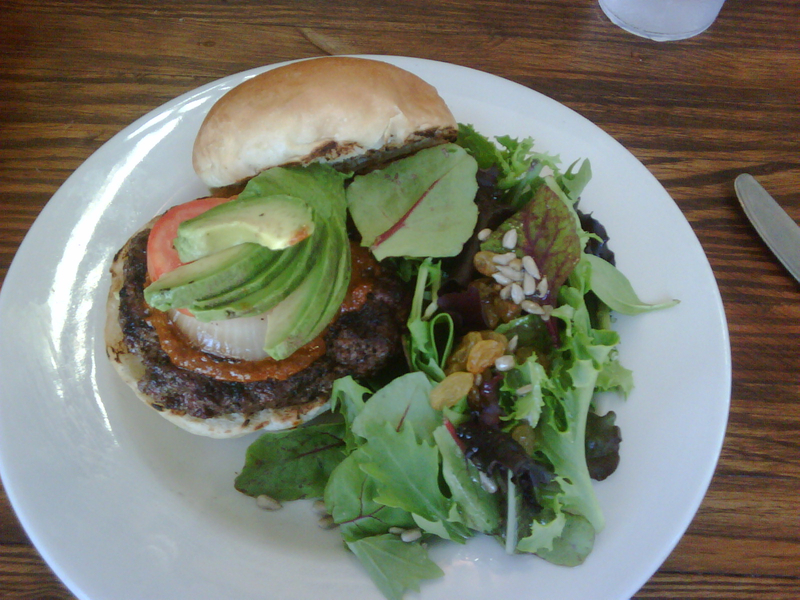 That first night, I chose a burger – a bison burger with harisa (an Algerian HOT paste) and avocado. It was excellent. But the other reason to come back is their dessert offering – the Ellidge. 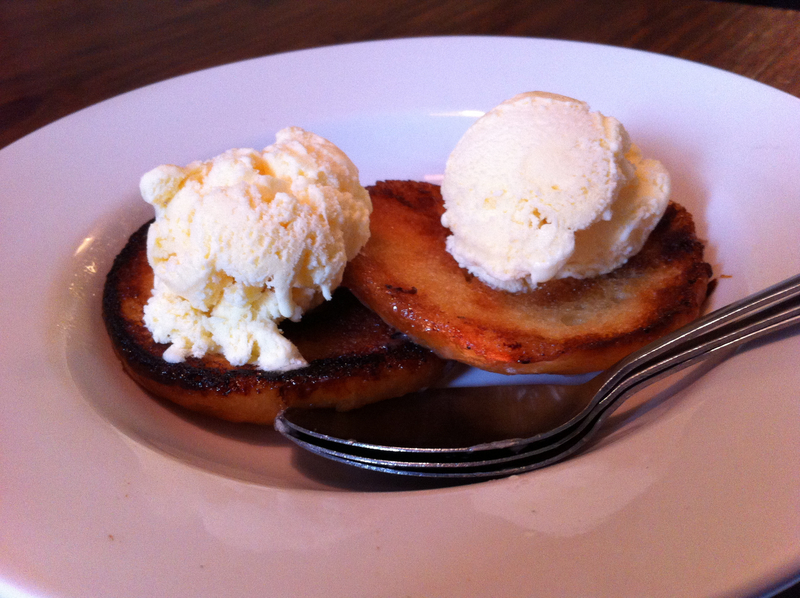 It is a split, toasted Krispy Kreme donut, served with vanilla ice cream. I know many people think that peanut butter and chocolate, a la a Reese’s Peanut Butter Cup is the perfect combination, but I’d beg to differ. Krispy Kreme + Vanilla Ice Cream = Dessert Nirvana!